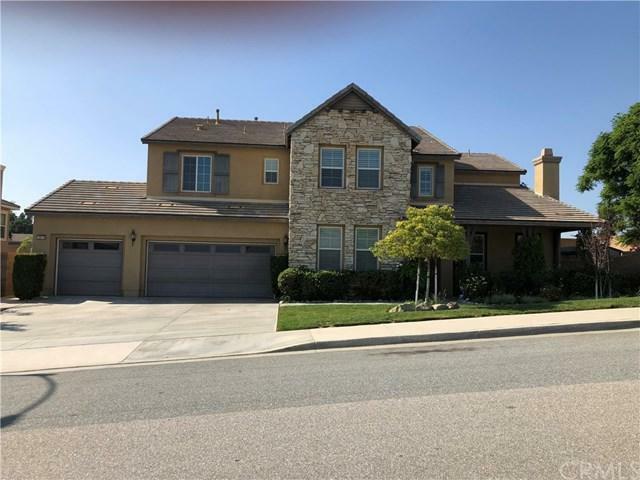 Beautiful two story Home with 5 bedrooms and a den optional or optional 6 bedroom, this property offers a bedroom with a private bathroom downstairs, which will be great for guests or extended family. Formal living room and dinning room, butlers Pantry, spacious great room ( Family room, nook and kitchen all in one large open area ) The kitchen features granite counter tops, 5 burner stove, built in oven and microwave oven, butler's pantry, island, and opens up to the family room that makes this great room wonderful for entertaining. walking pantry. Tile floors through out down stairs entry way, hall ways family room, nook area, kitchen and bathrooms Plantation shutters throughout the front of home. Corner lot, lost of privacy Landscape front and back yard. large back yard ready for parties. nice quite area close to shopping and schools, freeway access less the then 2 miles. Sold by Out Of Area of Out Of Area.